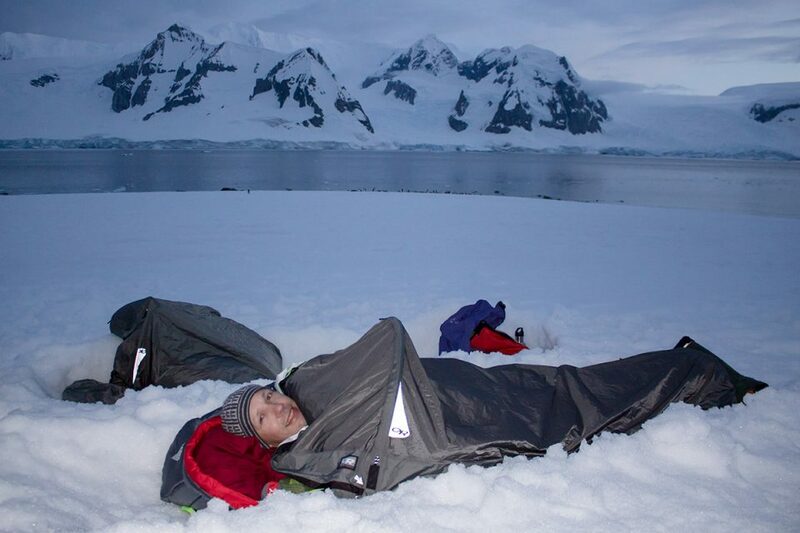 Many visitors to Antarctica say the experience changes you. It’s true, but it’s hard to describe exactly how and why it has such an impact. Of course, it’s beyond beautiful – that goes without saying. The otherworldly panorama of snow and stone backed by the huge slopes of the continent’s ice domes are a sight to behold. But visiting the world’s last great wilderness has an existential effect as well. It feels a bit like you are an ant standing next to an elephant. It’s humbling. The sheer power and scale of Mother Nature overwhelms you. And yet on some level, you feel connected to it. The continent awakens a long dormant survival instinct born in a world of glaciated extremes. An adventure here reverberates with the collective memories of a world man has not experienced in 10,000 years… of a glacier-covered Europe… of man crossing the Bering Strait. You feel it in your bones: stepping onto the continent is like waking up to your own ancient past. 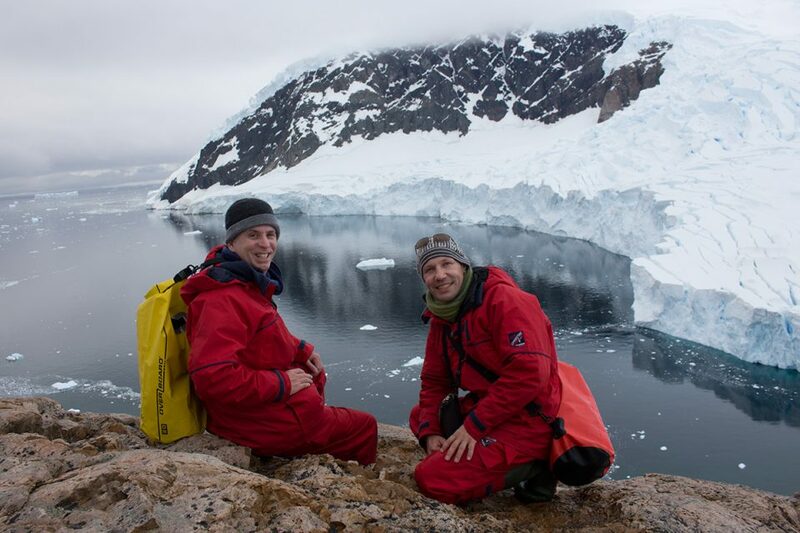 Thomas and I both agree 100 percent that our 11-day Antarctic Peninsula Adventure with One Ocean Expeditions is the most incredible adventure we have had to date. If you scan through our 1,200+ posts, you’ll realize that statement carries some weight. We really, really loved this trip! 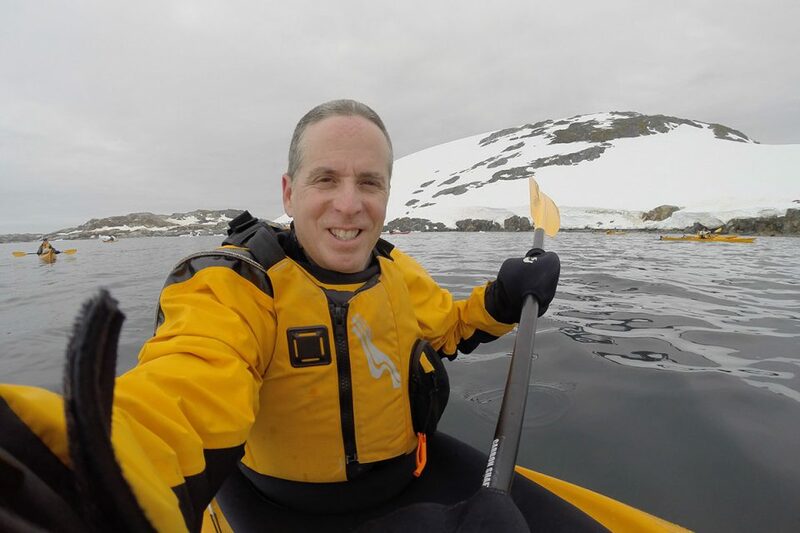 To share that adventure, we have added the new Antarctica video above and linked into each of our Antarctica posts below. We hope that these posts (and others we intend to add in the future) will serve as an inspiration for travelers who are planning their own voyages to the ice continent. An unexpected highlight of our trip way way way down under was the cast of crazy, fascinating, wacky, spectacular, smart, hilarious characters that became our family aboard the Akademik Sergey Vavilov. 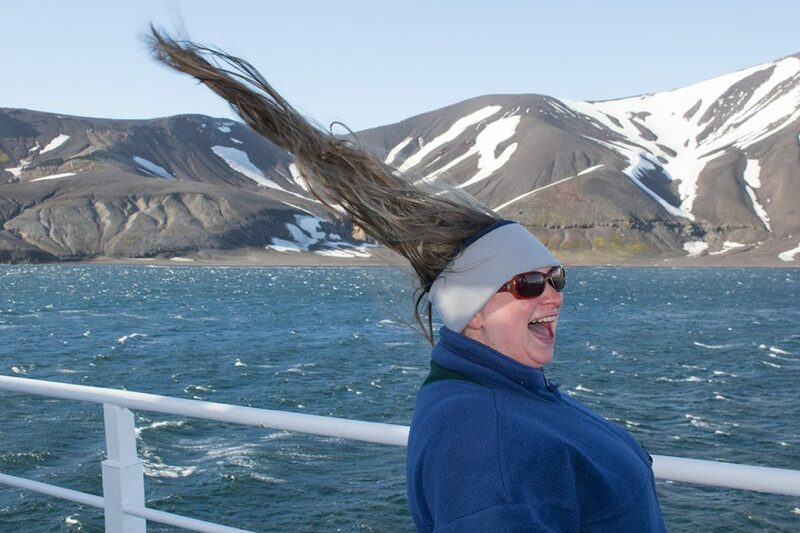 It had never really occurred to us before, but Antarctica attracts an especially awesome crowd of people. 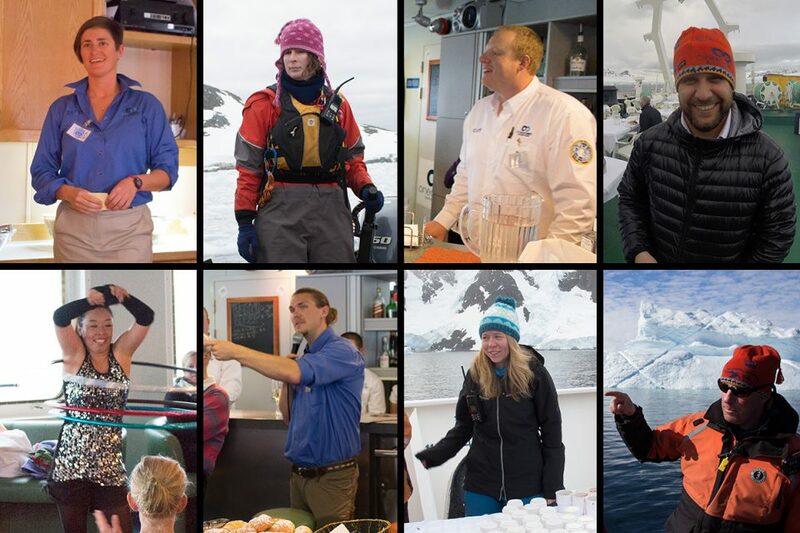 We are so grateful to One Ocean Expeditions and their exceptional staff for making our Antarctica adventure the perfect experience. Expedition leader Cheryl Randall inspired total confidence as she led with a masterful combination of professionality, sensitivity, safety and fun. She really should teach leadership seminars – there are a lot of people out there who desperately need her skills. Every member of the crew left us deeply impressed with their contributions. We would like to extend our special thanks to Dr. Alan and Annie for taking such great care of Thomas during the Drake crossing. Derek, Caroline, Nate, Mark T., John, Ian and Sarah defined our One Ocean experience with their vast knowledge and extensive outdoor skills. Mark S. and Michele were exceptional kayaking guides who excel at making things work. Jeni, Cody, Shiho and Rocky went out of their way to make life onboard a total blast. Sophie and Ewan took us back to the age of exploration with their incredible kayaking expedition – we were proud to witness their tremendous success at Wilhelmina Bay. 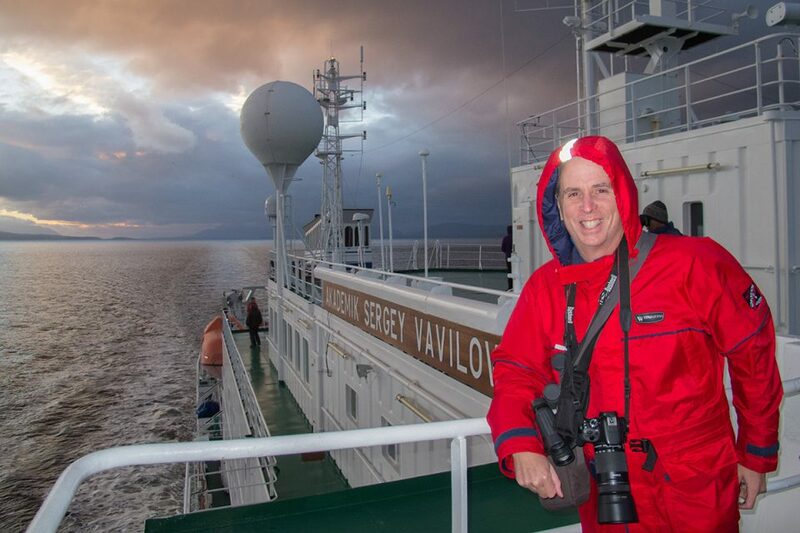 Our 11-day Antarctic Peninsula Adventure aboard the Akademik Sergey Vavilov made us fall in love with Antarctica. In some ways, it may mark the beginning of a new ice addiction. I’m pretty sure this will not be our last trip to the poles. 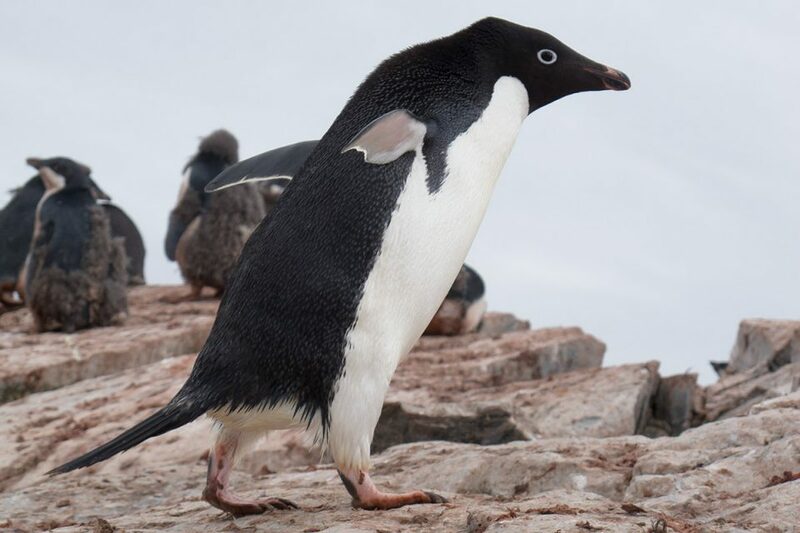 If you are interested in traveling to Antarctica with One Ocean Expeditions, make sure to visit their website at www.oneoceanexpeditions.com and take special note of their booking page where you can find an agent to help make that Antarctica dream come true. Disclosure: We received a discounted media rate on our One Ocean Expeditions cruise. However, all of the opinions expressed here are our own. Great video. I can’t believe how many whales you saw on your trip. We only saw two or three on our cruise. @Robb, There were so many whales we couldn’t believe our eyes. Really, almost every single time we looked out into the sea, we were able to spot a whale. And when we got to Wilhelmina Bay, there were whales everywhere. There were so many that it was hard to keep track of exactly where they were. You can actually see the one in the video that surfaced just a few feet from the zodiac. That was so amazing. I actually think my reaction in the video is pretty hilarious. I barely even react to the whale because I am so busy taking in the moment. Monster trav vid you two. I’m definitely doing this. Waiting for a vid on the Arctic too. I just subscribed to your YouTube channel after watching this. I can’t believe what you guys have done. I watched your orangutan video and hiking to the cliff hotel. I think I need more vacation days to all of this. You mentioned that you want to add more articles in the future. Might I suggest one with advice on what to look for when booking a trip. @Simon, We are planning to do that in the future. We’ll send you the link when we write it. We already have a few tips in the articles we have written, so make sure you read through those. Wow! Well done, so beautiful. Jase just sent me the link to this video because we were talking about a trip to Antarctica last night. Now I want to do a trip even more after seeing your video. The whales are amazing. And I really like the idea of kayaking and camping like you two did. Thanks for your articles. I am just beginning to research trips to Antarctica and I relize there is alot more to choosing a trip then I thought. I entered my email, please add me to the list of people you contact when you write about how to choose a trip. Do you also have information about last minute trips? My girl friend Connie and I were on the voyage with you and tony. It was our dream and we decided when we both turned 50 that we would book our trip! It was an amazing experience that is so difficult to express in words but you have really done an amazing job of describing it for others and I have enjoyed reliving the experience through your blog! 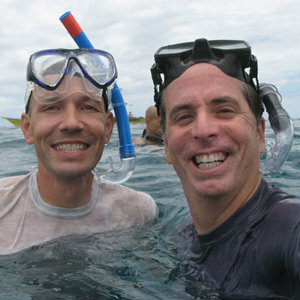 Who knew I would so miss my wet skins, rubber boots and the wonderful people aboard the ship when I got back home.